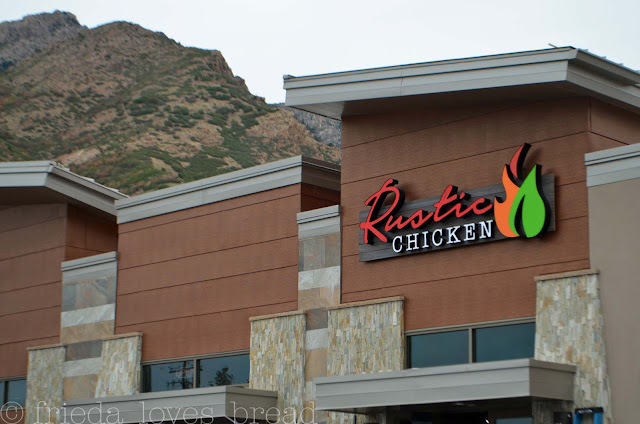 I was invited to a sneak peek of Rustic Chicken, a brand new restaurant nestled near the mouth of Big Cottonwood Canyon in Holladay, Utah. This is a one-of-a kind restaurant. It was refreshing to try something new. I love chicken. More than I enjoy beef! What's special about this place? 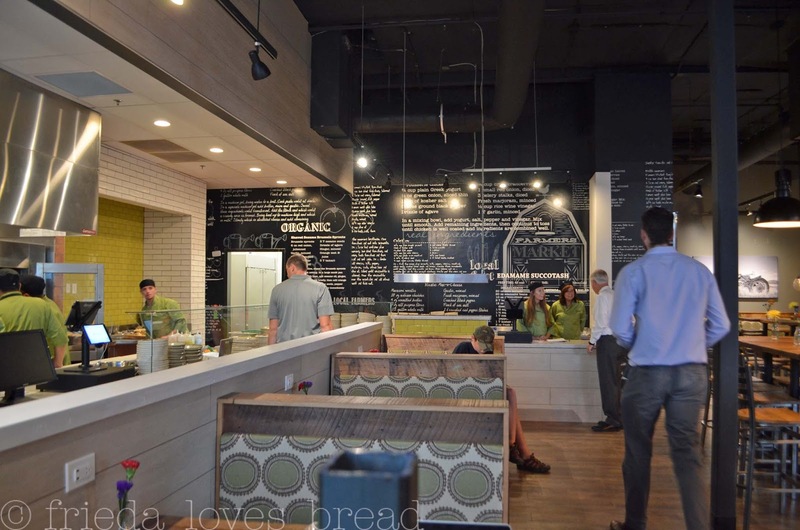 Rustic Chicken specializes in organic, healthy and affordable food. Their rotisserie chicken is cage free and hormone free. 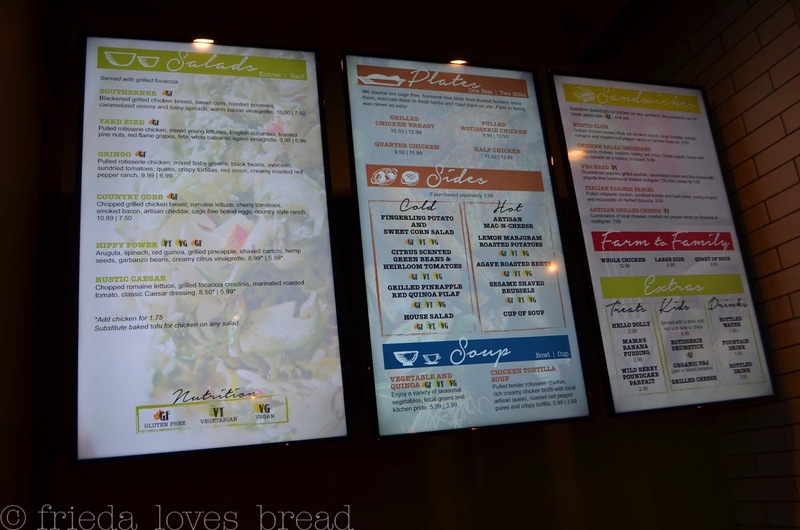 Soups, salads, cold & hot sides and sandwiches are on their menu. Included are gluten free, vegetarian and vegan items. Sound pricey? Not necessarily. Prices range from $5.99 for a salad to $13.99 for a half chicken with 2 sides. A children's menu is available for $4.99 which includes an entree, drink, and a small side or chips. I saw several kids enjoying their meals! 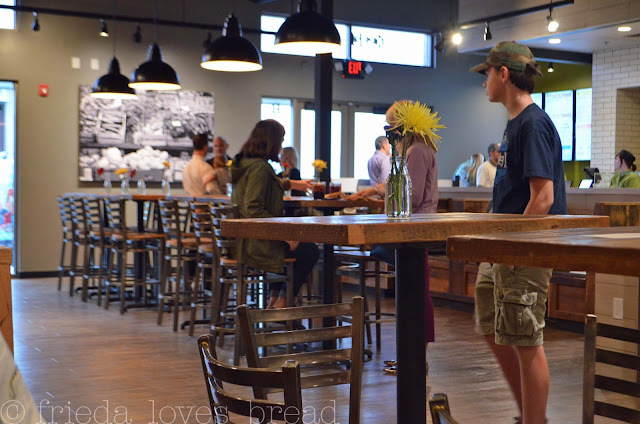 The restaurant has a clean, open, cafe style feel. Ordering was simple and straight forward. *Gasp! 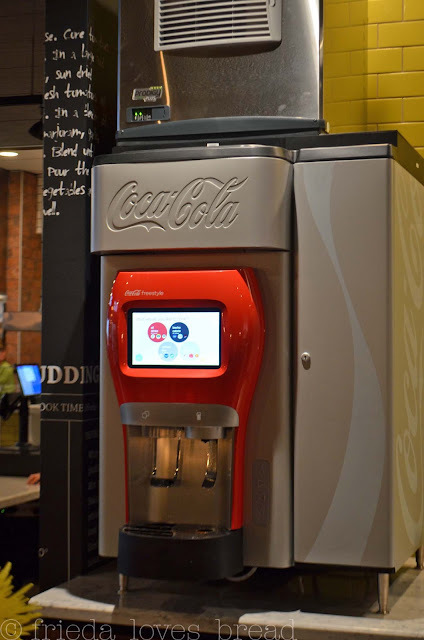 * A freestyle Coke machine?? Yes, please! You can mix any of your favorite coke products with a variety of flavored syrups. We were able to sit where we wanted. Rustic Chicken offers booth, table, and barista style seating. We selected a cozy booth near the Coke machine. Note the rustic drinking glasses.... sweet! 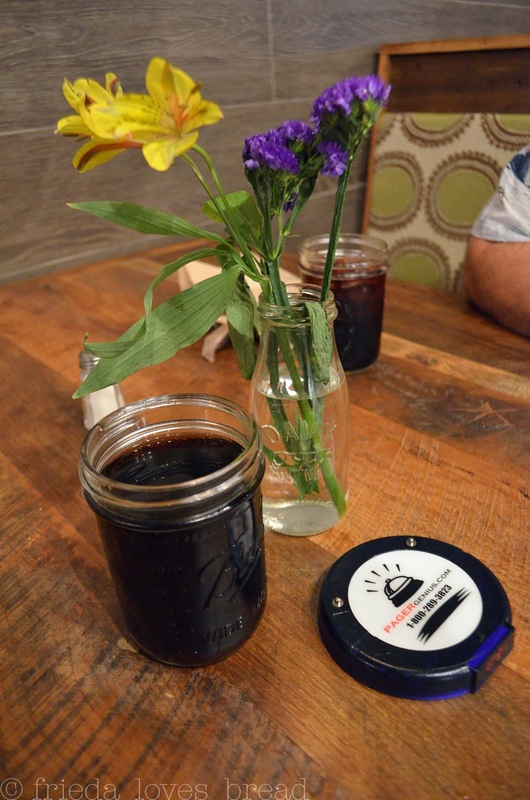 The pager displays number and buzzes to notify the waiter to bring your order. Unfortunately, it was not working that night, but our food still came with no problems. 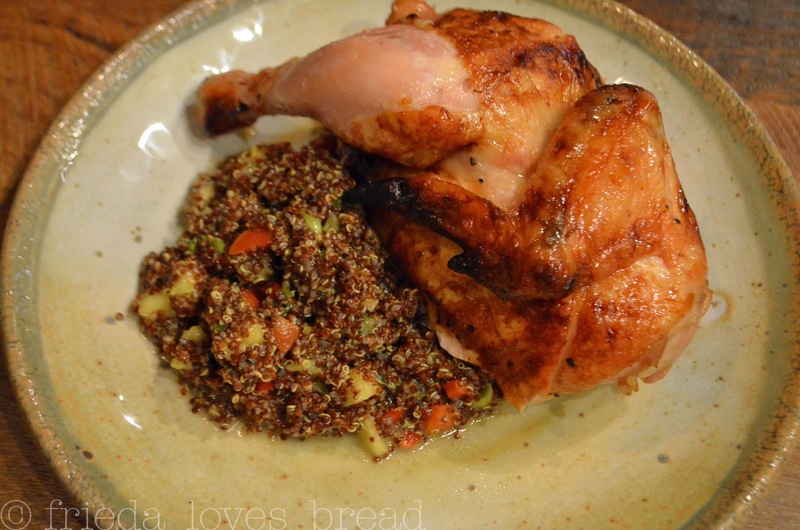 Hubby ordered the half chicken with a side of Grilled Pineapple Red Quinoa Pilaf. The half rotisserie chicken was perfectly seasoned, moist, and large enough to take some home. The pineapple quinoa was sweet, nutty and hubby gobbled it up. 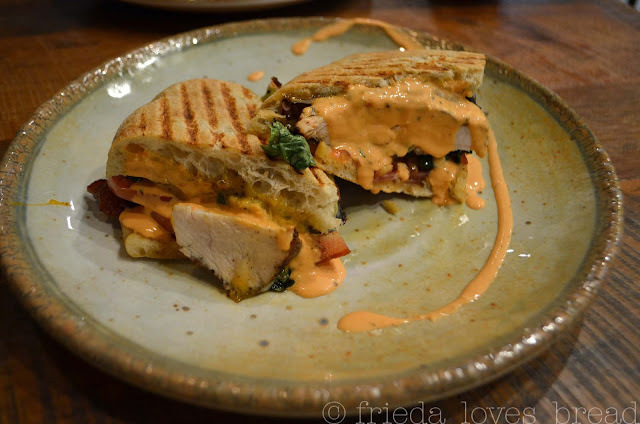 I ordered the Rustic Club Sandwich with grilled chicken breast, bacon, cheddar, tomato, romaine and a yummy roasted red pepper ranch dressing on herbed focaccia. The portions were generous and the red pepper dressing was very good. I was not expecting this to be a hot, grilled sandwich. Heating the romaine in the sandwich made it soggy. Next time, I would withhold the romaine from the sandwich or have it as a cold sandwich. *update* no lettuce served in their panninis! 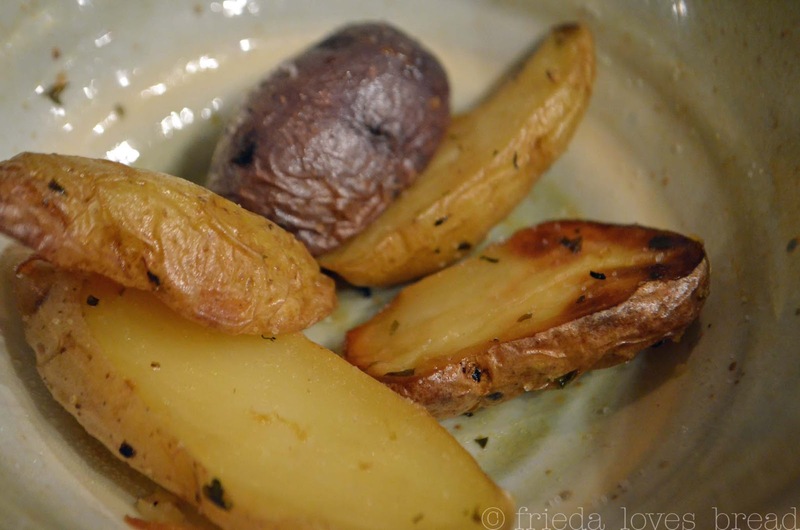 For a side, I ordered Lemon Majoram Roasted potatoes. They were cooked perfectly, although I had a difficult time tasting any lemon or majoram. *update* Seasonings were perfect this time around! While desserts are not on the menu, the portions served at Rustic Chicken were generous and filling. If customers are wanting a sweet option to add to the menu, perhaps some seasonal fresh fruit or yogurt parfaits could be a future addition. I would definitely go back and try some of their soups and salads. This would be a great place to stop after a day of skiing or shopping. Enter below for a chance to win a $25 Gift Card, compliments of Rustic Chicken!